This little creature below was one of the highlights of our trip to Australia last Christmas. Even before we left for the trip, the kids were all about 'cuddling a koala.' We just had to make sure that that was part of our itinerary. What I love about how this experience was handled is that at the Lone Pine Koala Sanctuary, they take care to educate the public about koalas, their care, their habitat, etc. It's not just a money-making photo op scheme. The children came away with some basic knowledge about koalas beyond simply an experience of having cuddled one. Hurray for one-pot meals! Josh and Zoe have been taking turns to make one meal for the family each week. So far, we've been sticking with one-pot meals, which are easier for them to do. 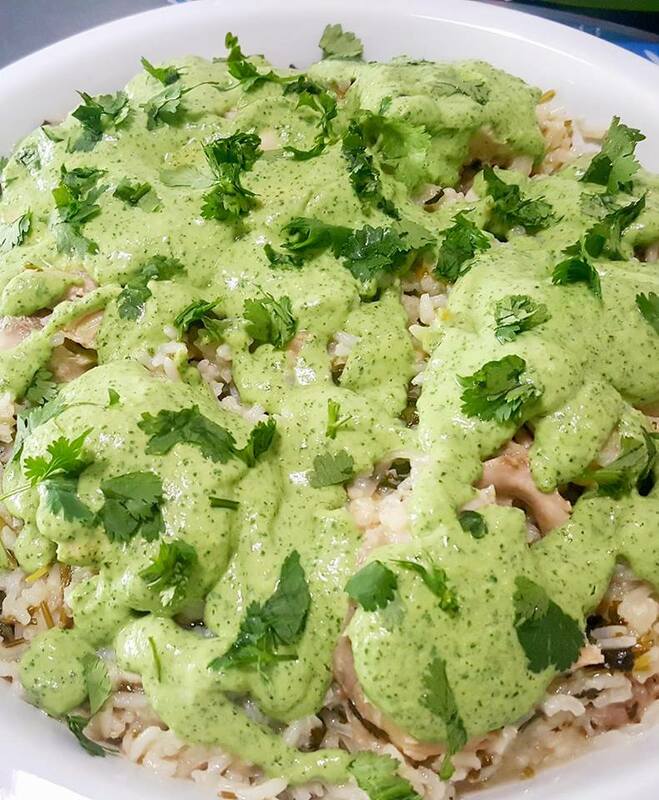 Josh did a fantastic job the week before with his cilantro lime chicken rice. We've modified the recipe a bit to use chicken thighs instead of breasts and added in way more cilantro than was called for. This was so, so good, believe me! The cilantro and lime combo was so refreshing and the avocado lime sauce was simply divine. For sure, this dish is going to be part of our regular go-to menu. Zoe's turn last week saw her make something similar --one-pot lemon herb chicken rice. Just very slightly different from what Josh made, but oh, just as yummy! The aroma from the kitchen, as she was making it, was just heavenly. The Italian seasoning and the lemony tang ...oooh. We all had second helpings (well, in Josh's case, thirds! ); it was that good! We got both recipes from Le Creme de la Crumb and it's fast becoming our go-to site for easy-to-make, super delicious dishes! I have a ton -- a TON! --of photos to go through dating back from last summer. These ones here were from our trip to Australia over Christmas last year. We went to the Lone Pine Koala Sanctuary (Brisbane) and it was one of the highlights of the trip. Especially for our kids. Apart from koalas, which we could pet and cuddle (under supervision), we also got up close and personal with kangaroos and other wildlife in a natural setting. This was my second visit to the sanctuary and I remembered that the last time I was there, an emu chased me around! Although the ones this visit seemed to be less aggressive, I made sure to steer clear of them. I was perfectly fine hanging out with these little pretty birds instead!